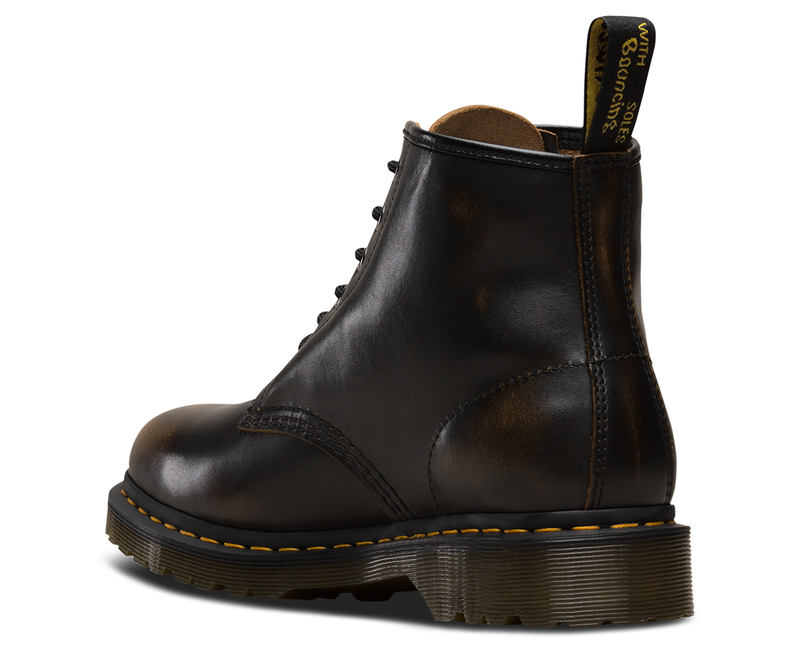 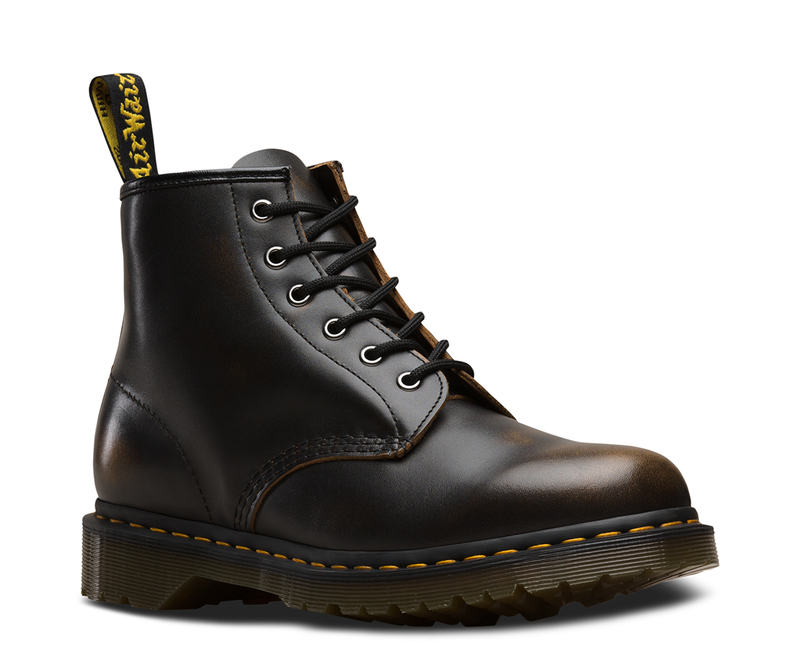 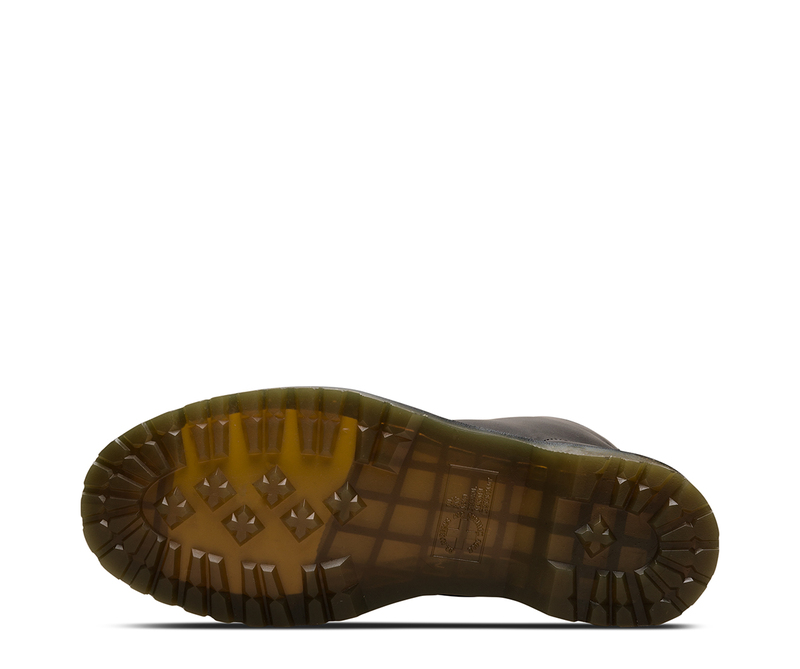 With 6 eyes, the 101 sits lower on the ankle — but is still an instantly recognisable Dr. Martens silhouette. 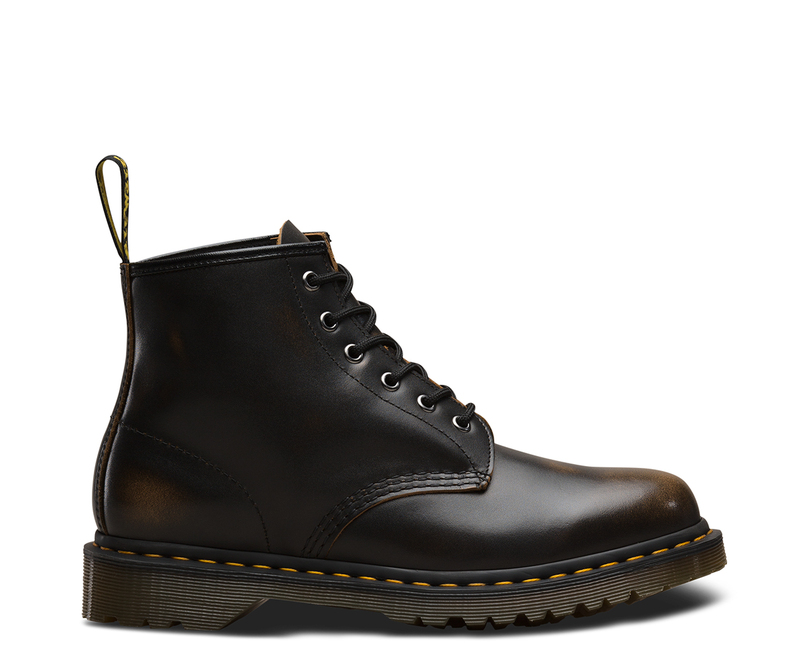 Clean, sharp and solid, the boot combines utilitarian workwear with classic lines, contrast puritan stitching and unmistakable attitude. 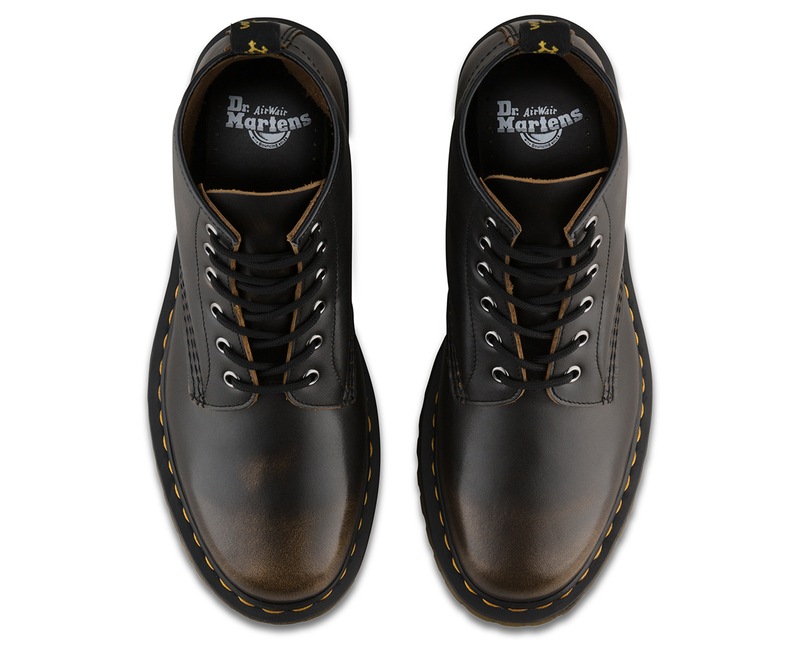 Vintage Smooth is a retro version of our classic, highly durable leather with a soft sheen.